Next Generation Stem Cell Clinic’s mission is to alleviate the burden of devastating disease on as many people as possible. Our treatment is founded on phase 1 clinical trials and clinical use of stem cells. We have been treating patients since 2003. At Next Generation Stem Cell Clinic, as our name implies, we use the most cutting edge advancements in stem cell therapy. Some centers use fetal cells from other people. This method requires anti-rejection medications for the rest of the patient’s life which leads to immune deficiencies and complications. We only use stem cells from your own body so no rejection reaction can occur. Most other centers still use bone marrow biopsies to obtain stem cells. This old technique causes lifelong pain in one of ten patients at the site of the biopsy. Here, at Next Generation Stem Cell Clinic, we use the newest and most effective source of stem cells. It was discovered that for every one stem cell found in bone marrow five hundred are found in fat. We obtain our stem cells by doing a small liposuction procedure this means our method is five hundred times more effective than the other methods at other centers, and our technique has no chance for lifelong biopsy site pain like the other centers. The only way to make bone marrow biopsy stem cell volume to reach the numbers obtained from fat harvesting is to do an illegal step called stem cell amplification. Amplification is when bone more stem cells are placed in a petri dish and then using chemicals force them to divide over and over again for at least a week so the number becomes useful. The FDA made this illegal due to concerns that the stem cells may be altered after chemical manipulation. Many other centers require patients to leave the country in order to amplify the number of stem cells from the bone marrow. We only use autologous homologous mesenchymal stem cells. This means pure unaltered personal stem cells are all we use so you can stay in the safety of the USA. We at, Next Generation Stem Cell Clinic, go beyond the science and realize you are entitled to warm personal care. 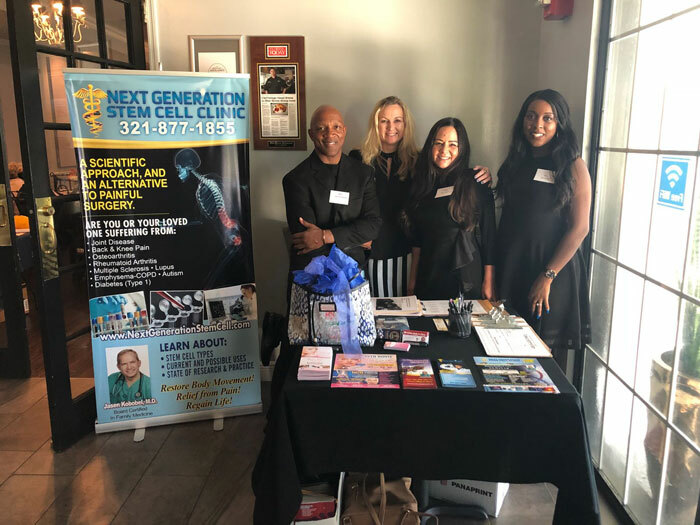 Our team of experts from start to finish will make you feel at home and make sure you feel comfortable with your entire journey in regenerative medicine with the Next Generation Stem Cell Clinic. Next Generation Stem Cell Clinic in Brevard is proudly serving patients from Orlando, Tampa, Miami, Tallahassee, Jacksonville, Florida Atlanta, New York, New Jersey, Philadelphia, Washington D. C., New Hampshire, Maryland, Montgomery, Houston, Dallas, Austin, Denver, Little Rock, New Orleans, Detroit, Richmond, Boston, Los Angeles, San Diego, San Francisco, Las Vegas, Tucson, Phoenix, Salt Lake City, Reno, Portland, Oklahoma City, Nashville, Columbia South Carolina. Next Generation Stem Cells is located in Merritt Island in Brevard County – Central Florida. Only 45 min drive from Orlando, 3 hours drive from Mimi and 2 hours drive from Tampa.